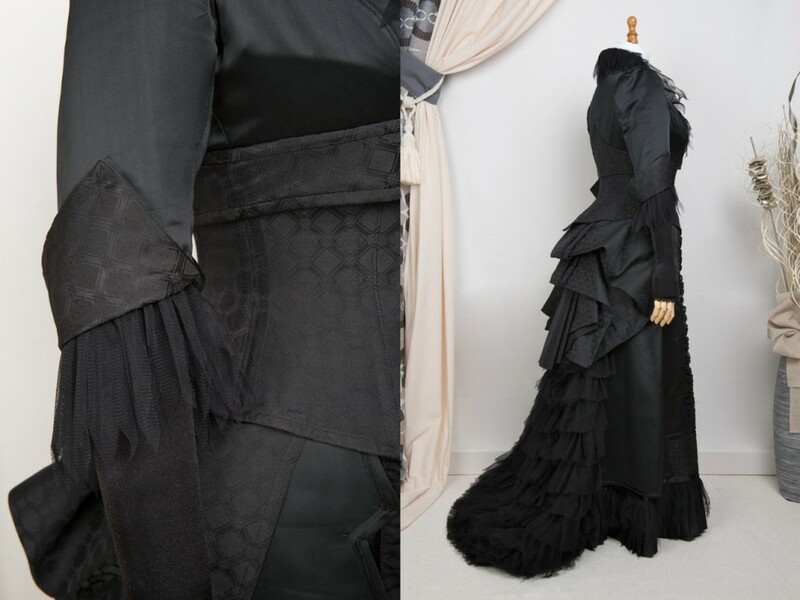 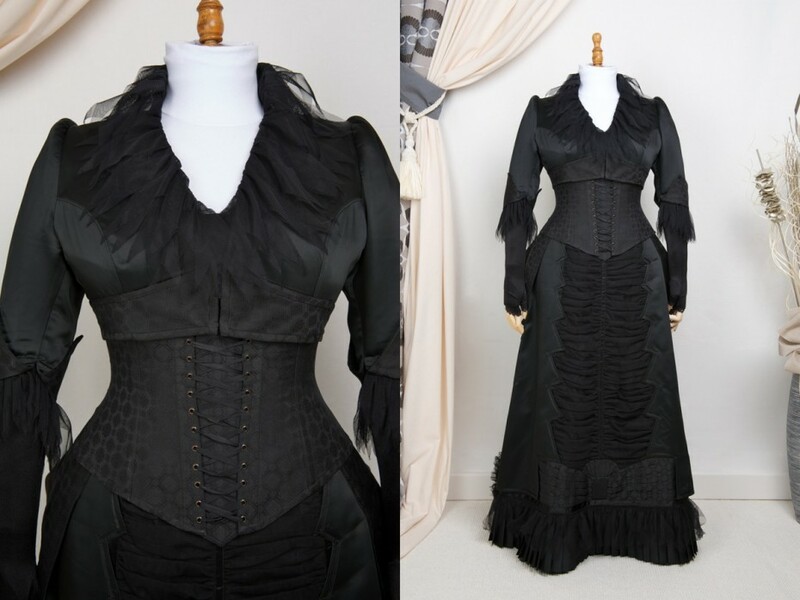 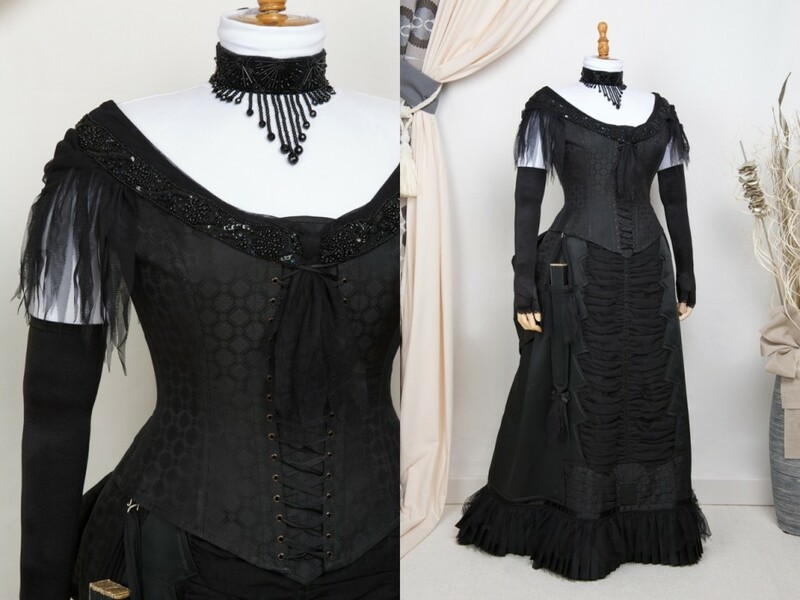 This slightly modernised Bustle-dress is based on the so called Natural Form from 1878-83, which required no wired or other kind of stiff bustle at all. 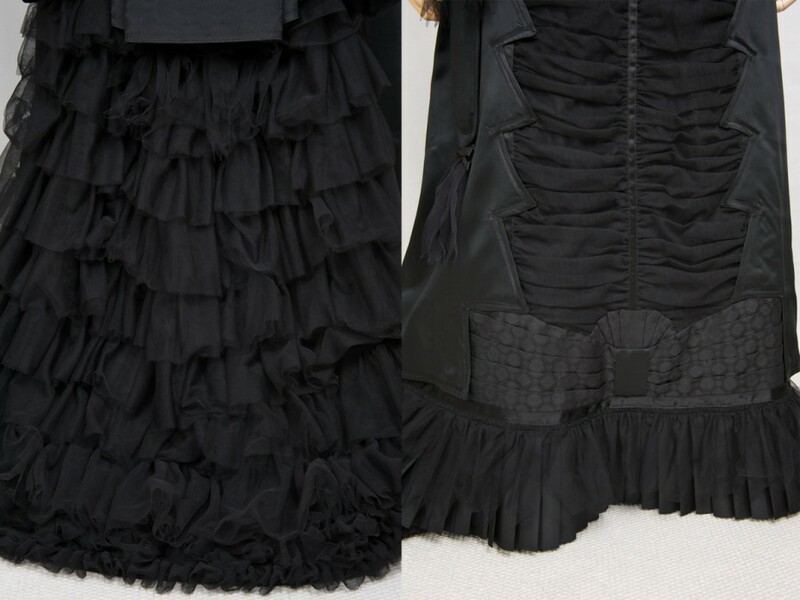 Materials are duchesse, jacquard, taffeta and tulle. 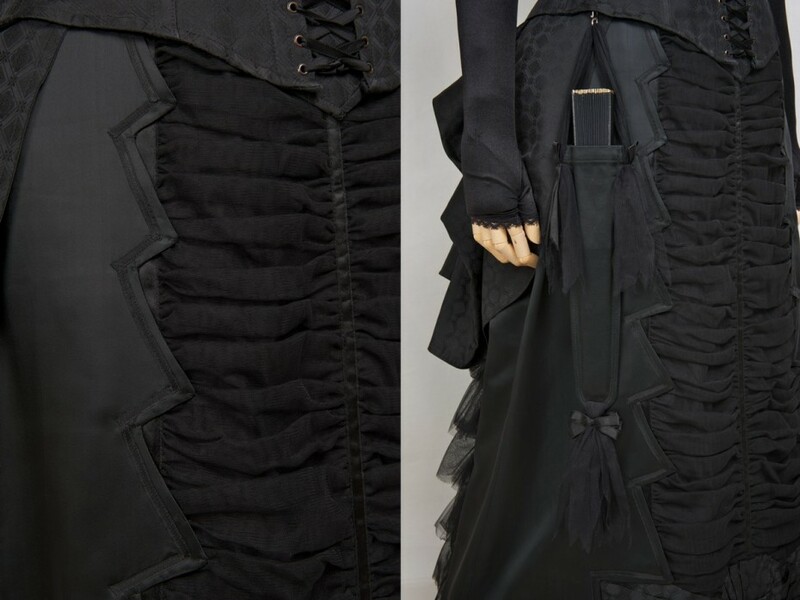 All tulle is gathered by hand, which took for the train alone about three days. 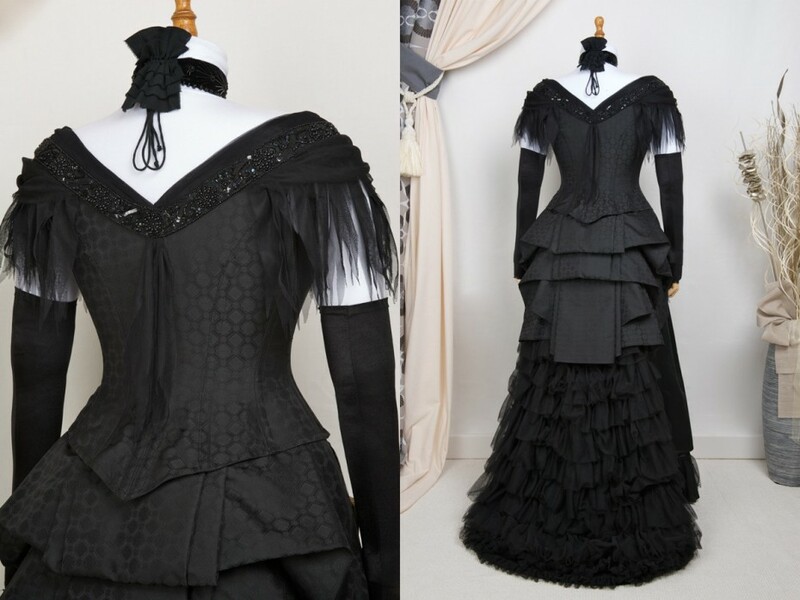 It may either be worn as a daydress or as a ballgown (by using a detachable ornament made of pearl-embroidery and tulle to turn the plain bodice into fancy evening-wear). 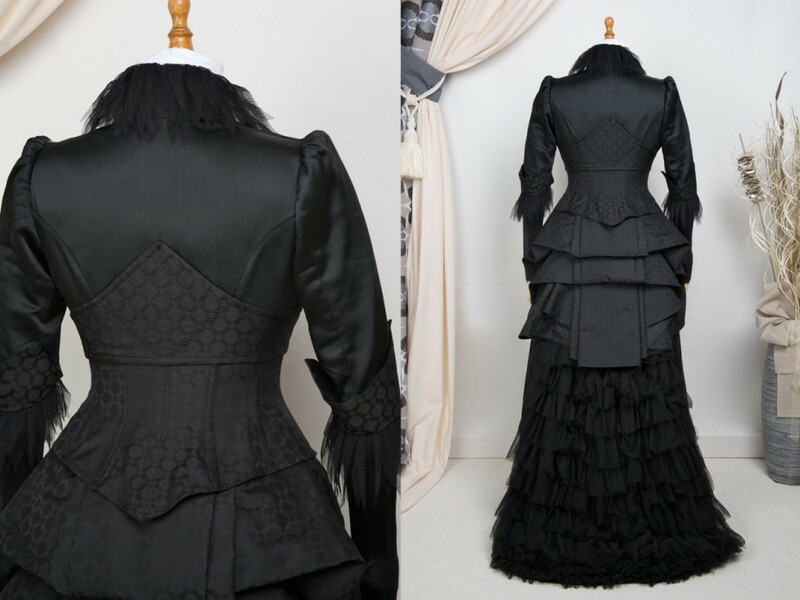 It comes with a matching fan-quiver. 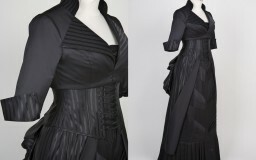 Way above onehundred working hours were requred to create such a garment.